Union Minister Smriti Irani is contesting LS polls from Amethi, where she faces Congress chief Rahul Gandhi. 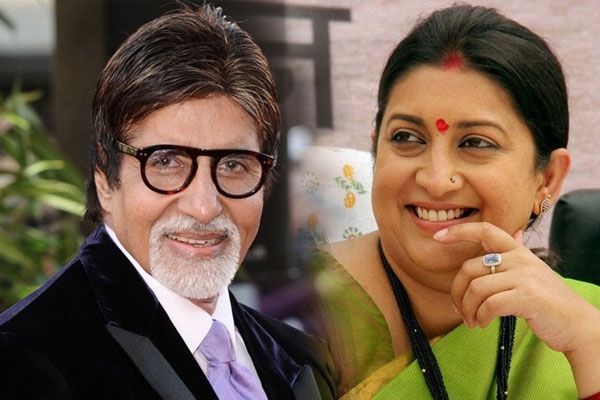 Claiming Irani is "getting ready for her third successive defeat," Congress spokesperson Randeep Surjewala said, "She is mostly angry, trying to copy Amitabh Bachchan but she always ends up being villain in the story." Surjewala claimed he understands the "scepticism" in her mind. Congress chief spokesperson Randeep Surjewala said the people of Amethi will ensure her "decisive defeat" and will show her what "temperate behaviour is and what respect for the opponent is". "We will defeat her with the blessings of the people of Amethi, but we will always respect her as an opponent," Surjewala said.